Karey Miles and Deann Garcia enjoying the fruits of their labor atop Winter Rim above Summer Lake. 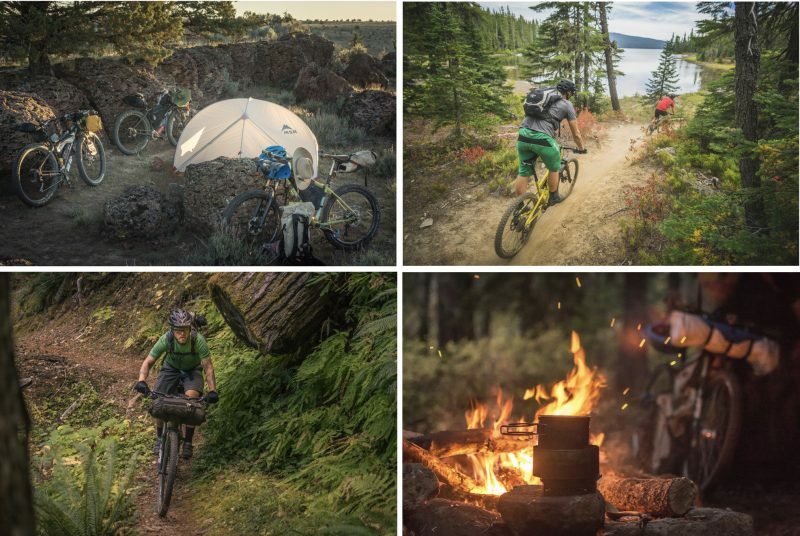 The Oregon Timber Trail – a new, 669-mile backcountry singletrack route that a rider can follow from the California border to the Columbia River – is a gem of an idea poised to become the definitive off-road cycling experience in Oregon. Don’t miss the event this Saturday (11/17)! And as a new trail that’s only two seasons old (it launched in 2017), it’s a gem that’s still a little rough around the edges. Heartened by these encouraging words, four women from the West Coast Women’s Cycling team (Deann Garcia, Aliza Richman, Karey Miles, and Heather Van Valkenburg, along with Bill Garcia) set out to ride the trail from its southernmost terminus in Lakeview up to Oakridge, a 305-mile stretch that covered all of the Fremont section and about half of the Willamette section (the trail is conveniently separated into four “tiers” to make trip-planning easier). A middle school student from Springwater Environmental Sciences School displays work for a unit on the Oregon Timber Trail. A school in Oregon City will be rolling on a new fleet of Specialized bicycles next year. The bikes will help them delve further into the natural world. 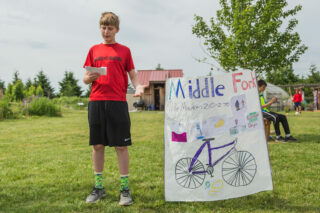 The Springwater Environmental Sciences School, a K-8 public charter based in a rural area near streams and woods, was one of 37 schools across the country (and the only one in Oregon) awarded a “Riding for Focus” grant by the Specialized Foundation, the nonprofit arm of the global bike company. The grants aim to fund programs where bicycles are integrated into the school’s physical education curriculum. The students at Springwater caught the cycling bug from an unlikely source: The Oregon Timber Trail, the 668-mile (mostly) off-road trail that spans the entire state from California to the Columbia River. Last summer the school partnered with the Oregon Timber Trail Alliance and used the trail as a vehicle to study the rich geology and history it passes through. 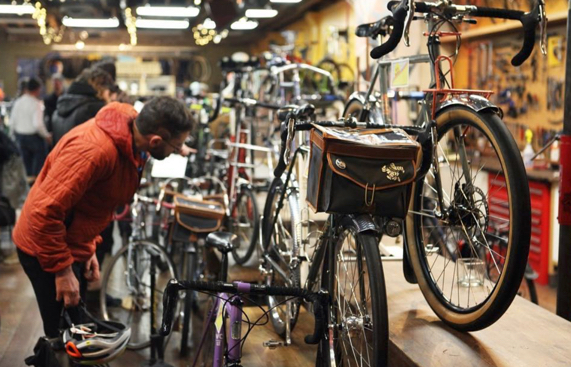 Whether you like to look at bikes, ride them, or both — here’s your best Saturday night. If you overlooked these two events in the Weekend Guide, you’ll be sorry. 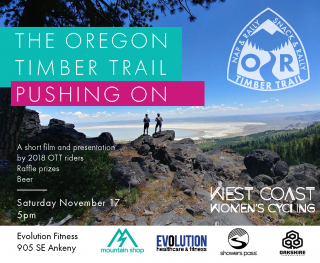 On Saturday Velo Cult is hosting the annual Velo Cirque Classic and Custom Bike Show and then the Oregon Timber Trail will take center stage at Base Camp Brewing. Both events will be held in nice and warm places and are easily accessible by transit, so the weather isn’t an excuse. We love getting emails like this. 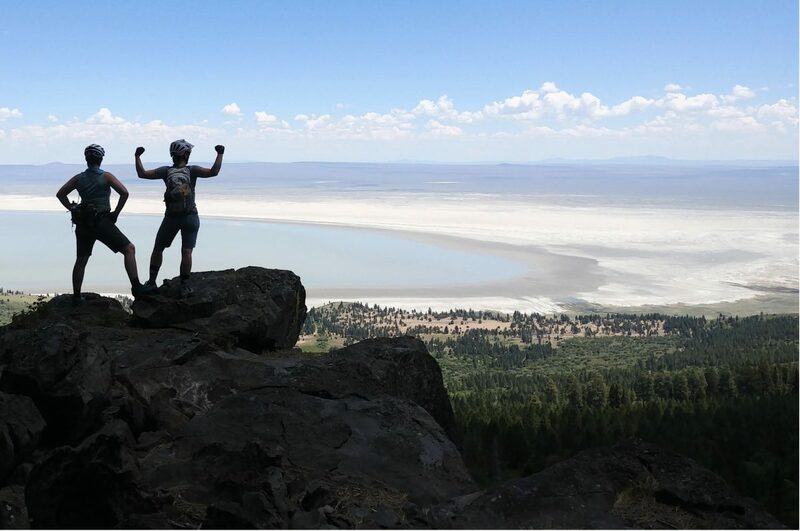 In Oregon, we’re fortunate that our official tourism commission intimately understands not just how valuable cycling is to our economy, but that it is simply an awesome, fun, and healthy way to experience our state. 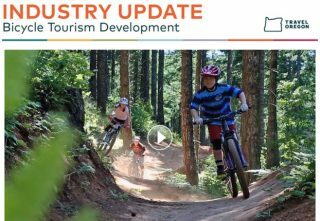 We’ve covered Travel Oregon’s efforts to promote and enhance bike tourism for many years and I’m happy to see that their interest hasn’t waned. They recently put out a “Bicycle Tourism Update” email and it was so full of cool stuff I wanted to give it more attention. The Oregon Timber Trail is ready: Are you? At long last the Oregon Timber Trail is open for business. After a soft-launch back in March, the 668-mile backcountry mountain bike route is now fully mapped and all the resources you need to research and plan your trip can be found on the official website. Scenes from the Willamette Tier of the route. Something big is about to happen for off-road cycling in Oregon. That might sound boastful, but once you learn more about this project and the people behind it, it’s easy to see why they’re so confident. 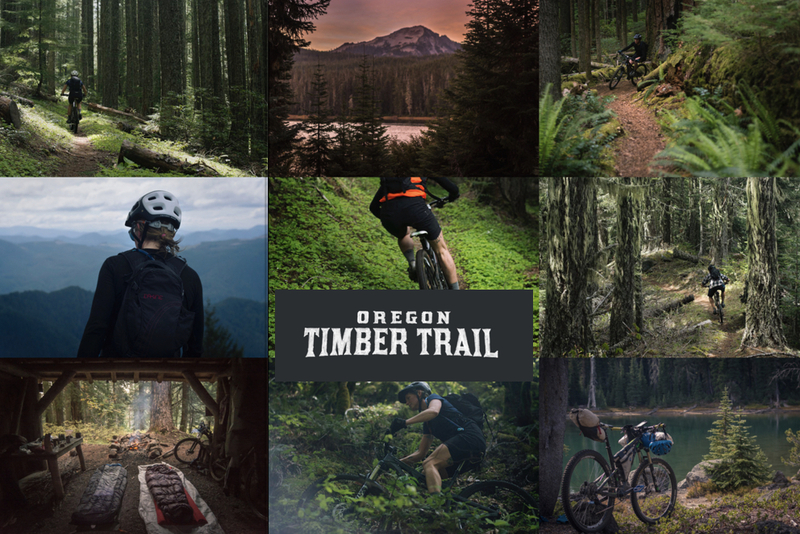 In case your bucket list of bike adventures wasn’t already full enough, here’s a new one for you: The Oregon Timber Trail, 650 miles of singletrack trails and logging roads that bisects the entire state. And guess what? The trails and roads (90 percent of which are unpaved) are already there. All that’s left to do is to refine the route, create maps, buff out some rugged sections, put up some signage, and so on. The trail is a collaboration between the Portland-based bike adventure guide company Limberlost, Travel Oregon, the Bureau of Land Management, and the United States Forest Service. Working together they hope to have a map and guidebook completed by the end of next year and officially open the finished trail in 2020. “We’re seeking to create a world-class mountain bike experience,” says the trail’s very nice website.